Growing veggies in flowerpots is easy to do, lots of fun and super delicious. 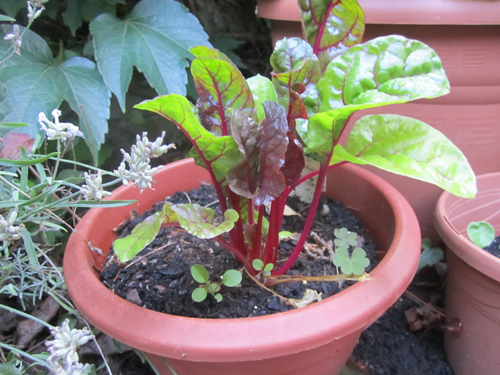 In this post we share some planting tips for growing beets in a garden pot and share with you how fun this is. Easy for an apartment dweller or anybody with limited garden space. Oh yeah, yummy also! Step one is deciding on the garden planter or pot that you are going to use. Just remember the wider the better. A nice wide planter like a rectangle will let you pot more plants and give you a larger yield. They are great for lining a patio fence, a balcony railing or setting up a border. Small pots will work but you should shoot for a 12" deep planter. The extra depth will give your roots a larger area to expand into. When it comes to pottery materials, we like terracotta because it is meant to breathe and is the most healthy type of pot for a plants health. However, even glazed, poly resin or concrete will all work. The main point to remember is you must have drain holes. 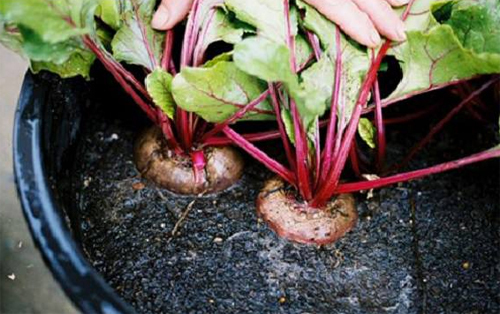 You do not want the beets roots to sit in standing water. The more drain holes the better so if you find a pot you just love and it doesn't have a drain hole, plan on drilling one. When planting remember to start with a good veggie potting mix. This makes sure you get off to the best start. 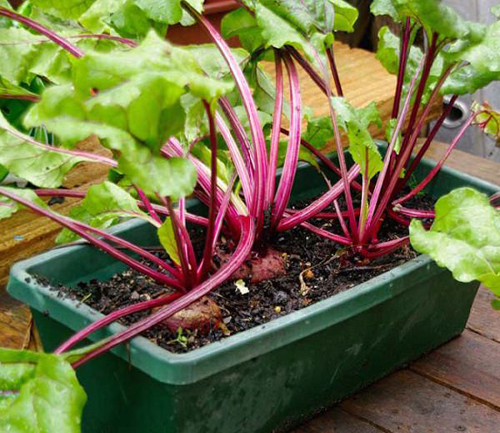 Then remember that beets don't like to be moved so use a container that is going to be large enough and sow the seeds 1/4 deep. You will need to thin out the beets as they start to sprout. Place the beet flower pot in full sun for the best growth. Don't put the pot up against a wall or fence. Make sure the container has good air circulation. Water regularly to keep the soil moist at all times and don't let the soil dry out completely. Fertilize with time released beads. Potted beets usually take about 8 weeks to be ready to harvest after germination. 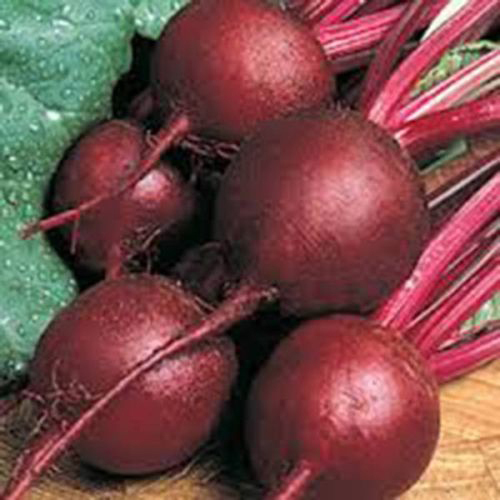 Use in salads, stir fry the beet greens but only harvest them a few inches off the soil. That way they will continue to re-grow.